Alliance for the Prevention of Elder Abuse WA - Seniors Recreation Council of WA Inc.
Elder abuse comes in many forms and in most cases is not recognised or reported . An inter-agency colaboration has been established to help prevent elder abuse in Western Australia. Elder abuse is when a person in a position of trust causes harm to an older person – this includes financial, psychological, sexual and physical abuse. Through the Department of Communities, the WA State Government supports a range of elder abuse prevention and assistance services including the WA Elder Abuse Helpline delivered by Advocare. 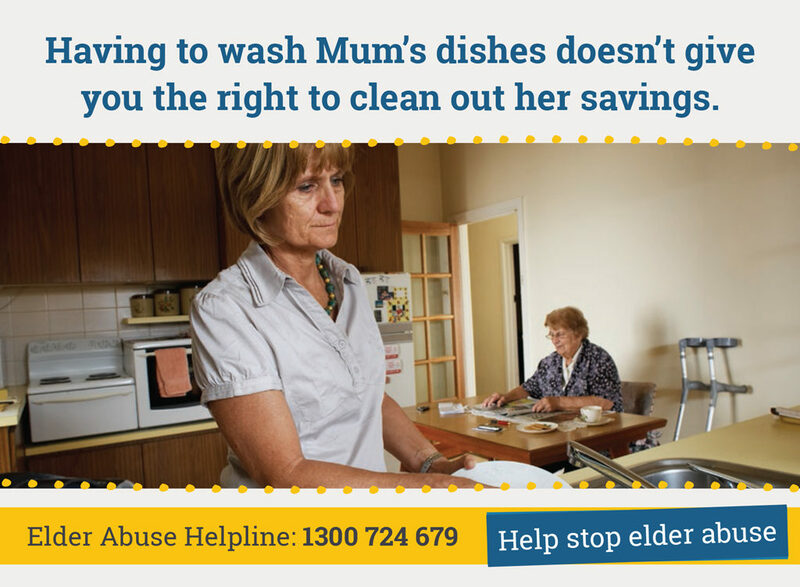 If you are experiencing elder abuse, or know someone who is, call the Helpline on 1300 724 679. The Alliance for the Prevention of Elder Abuse Western Australia (APEA:WA) is high-level policy group coordinated by Advocare. It was established to support inter-agency collaboration to prevent elder abuse in Western Australia. Click on the above graphic to find out more or seek advice.